Forgot Pinterest password? 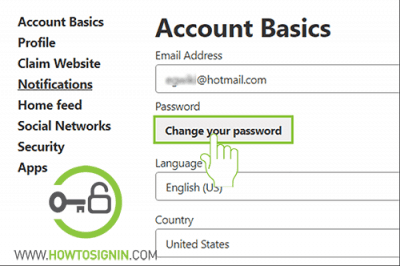 You can get access to your account with a simple account recovery process. For Pinterest password reset, you need to have access to recovery email or phone number or your profile. 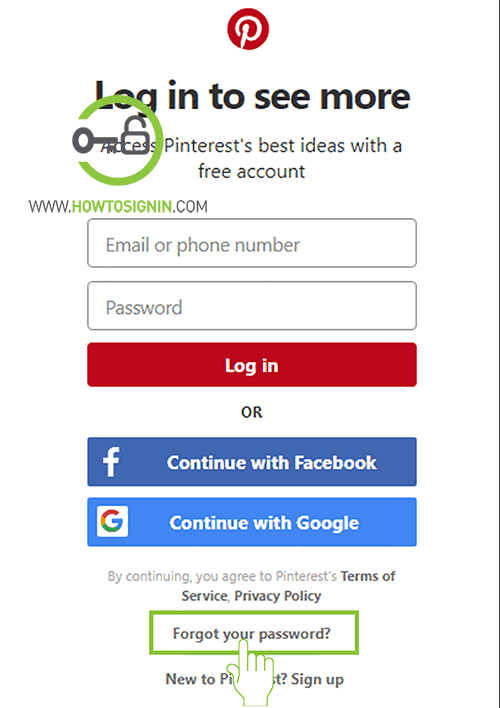 Go to the Pinterest homepage or you can visit https://pinterest.com/password/reset/ directly to reset the Pinterest password. Click log in at the top right corner of the page. Click on ‘Forgot your password?’ on the pop-up box. A box will appear, enter your email, name or Pinterest username and hit Search. A suggestion box will appear under the search box. Choose yourself from the given list and click ‘This is me’ button at the right of the listed accounts. A box will pop-up with your registered email address. Click ‘Send’. You will now see a confirmation box as the email to reset Pinterest password has been sent to your registered email address. 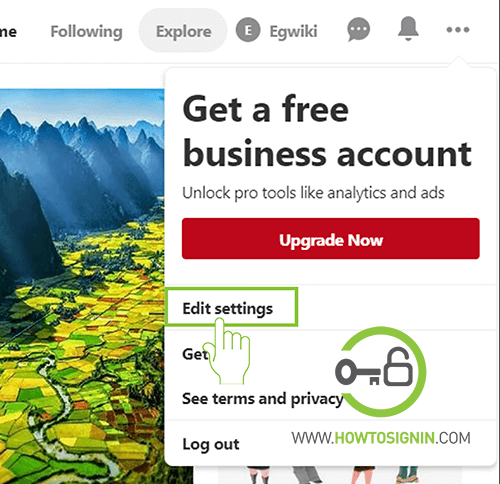 Open the email you received and click the reset link provided by Pinterest. Now you need to enter a new password. Congratulations! you successfully reset the password of your Pinterest account. 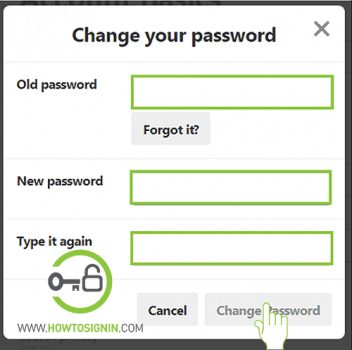 How to change Pinterest password? 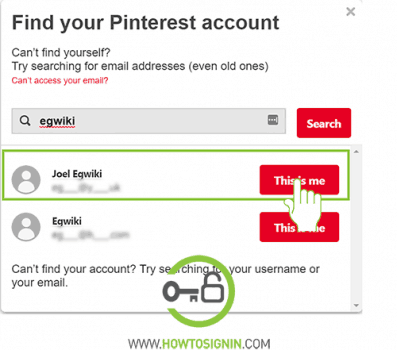 It’s really easy and quick to change the password of your Pinterest account. It will be hassle-free and takes less than a couple of minutes. 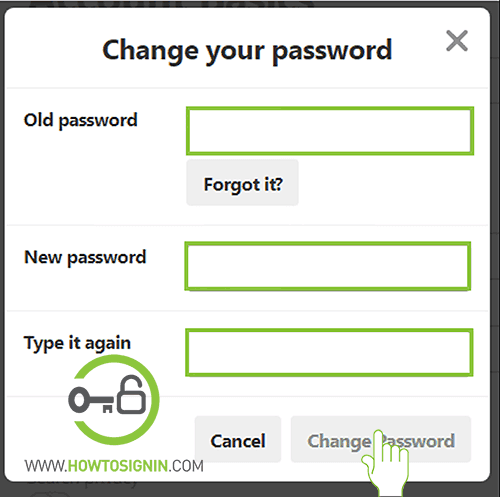 You have to change Pinterest password manually. Click on 3 dots at top right corner. A drop-down menu will appear. Click Edit Setting. A new box will pop-up. 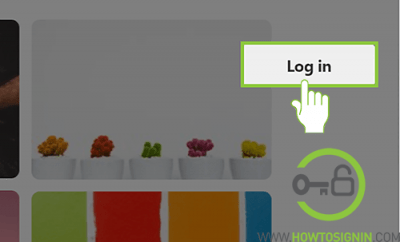 Enter your current password and Enter your new password. You need to type it again to verify it. Congratulations! 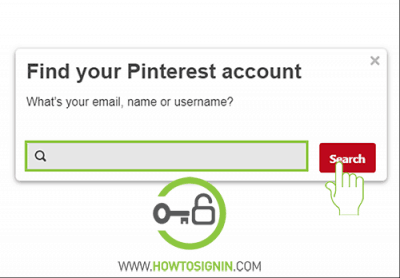 Now you need to enter your new password to log into Pinterest now onwards.